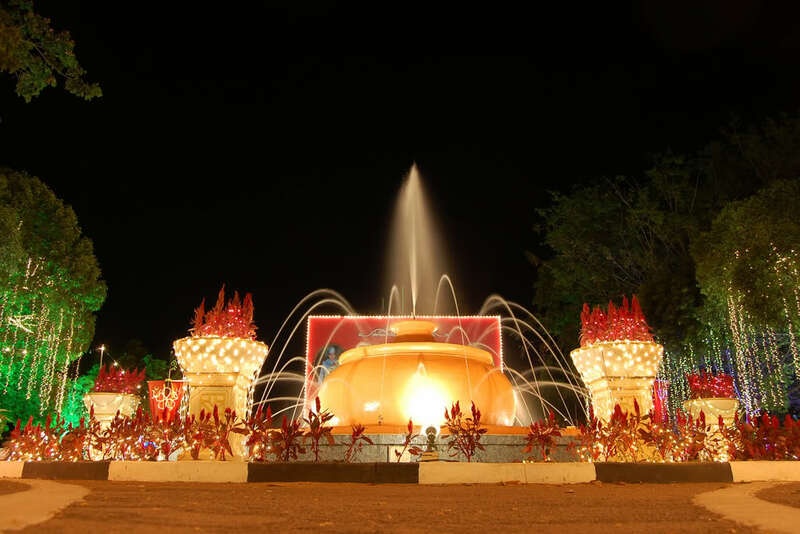 Kelantan’s Special One: March 30th & 31st: The Days of ‘Luminous’. Birthday Celebration of Sultan Kelantan, Sultan Ismail Petra, will be continued with the award event held on March 30 despite Sultan Ismail Petra’s health condition still in the process of recovery. 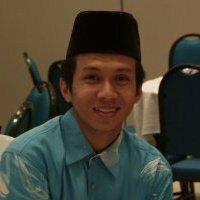 Conferment will be continued and Kelantan Regent, Tengku Muhammad Faris Petra will determine who is eligible to receive awards. 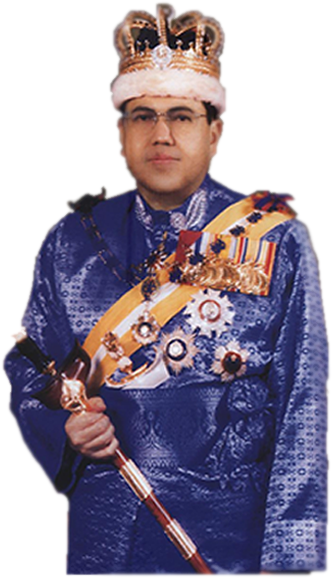 Prior to this, Datuk Wan Hashim Wan Daud who claimed himself, Secretary Sultan of Kelantan in a statement to state that all orders Tuanku Ismail Petra and the award ceremony in conjunction with the 60th Birthday of Sultan Kelantan was not held. Kelantan Palace manager, Datuk Abdul Halim Hamad, said the award will be continued as usual but the annual celebration will not carried out and replaced it with prayers and ‘doa’ in the mosque. In response, these pictures show why Kota Bharu deemed as ‘Special One’ on March 30th and 31st: Day of Luminous. Glittering at Kota Darul Naim. Sparkle Gateaway at Sultan Yahya Petra Road. Another Beaming Gateaway at Sultan Yahya Petra Road. 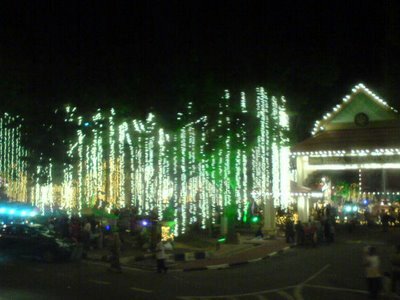 Tree of Light: Panorama at Kota Darul Naim. These images happen on Earth Hour, 28/3: Kota Bharu-Style. Glittering, Sparkle and Luminous. 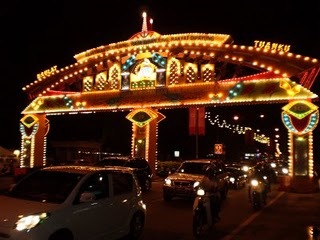 The main road in Kota Bharu radius that incandescent with light were Jalan Temenggong, Jalan Sultan Ibrahim, Jalan Sultan Yahya Petra, Jalan Kebun Sultan and Jalan Pengkalan Chepa. But you have to give credit, it was a ‘sense of wonder’ to the eyes. 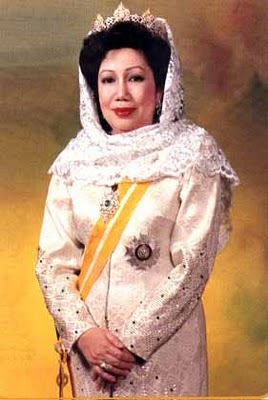 « Kelantan’s Kaiser: Sultan Yahya Petra’s Term.